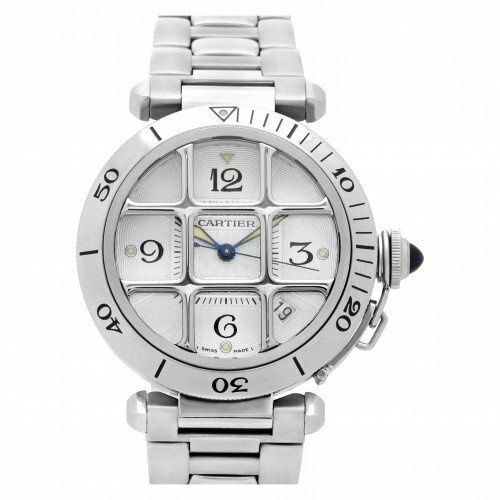 This watch is also known as: W3103755ST , W3103755-ST , W3103755 . 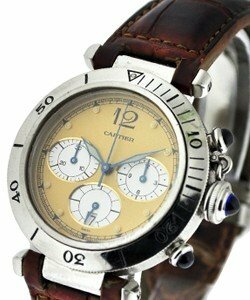 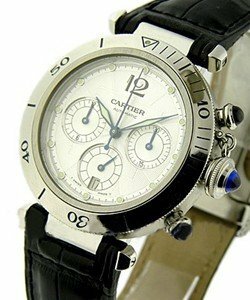 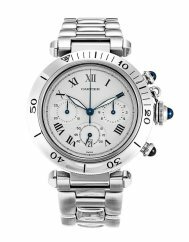 Cartier Pasha GMT Mens Watch. 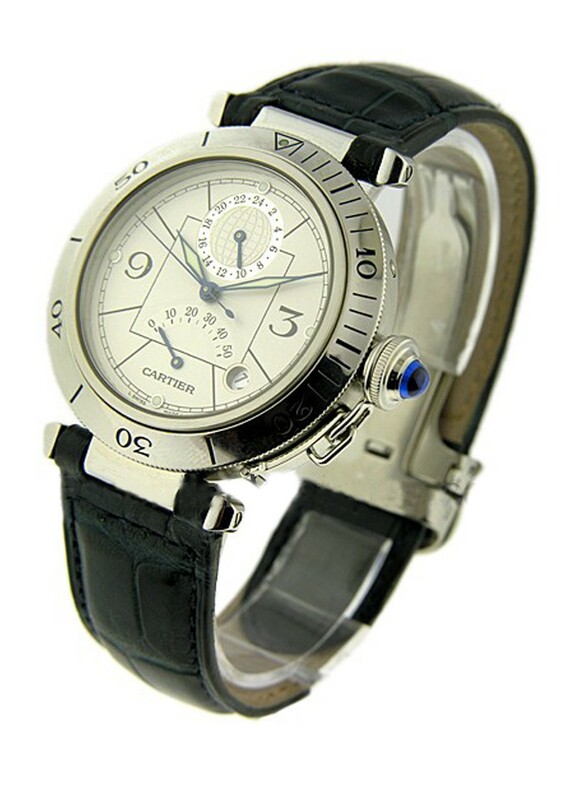 This Cartier Pasha GMT 38MM Mens Watch W3103755 Polished stainless steel case and blue leather strap with deployment buckle,unidirectional rotating bezel, silver patterned dial, date at 5:00 and GMT sub dial at 12:00, GMT hand adjustable with pusher at 2:00,cabochon crown, power reserve indicator at 6:00. 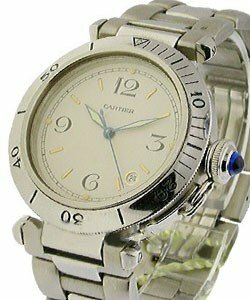 Cartier Pasha GMT watch is created with excellent techniques to be charming and durable. 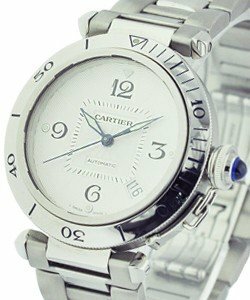 It will just reflect the sense of your style and your passion about life.